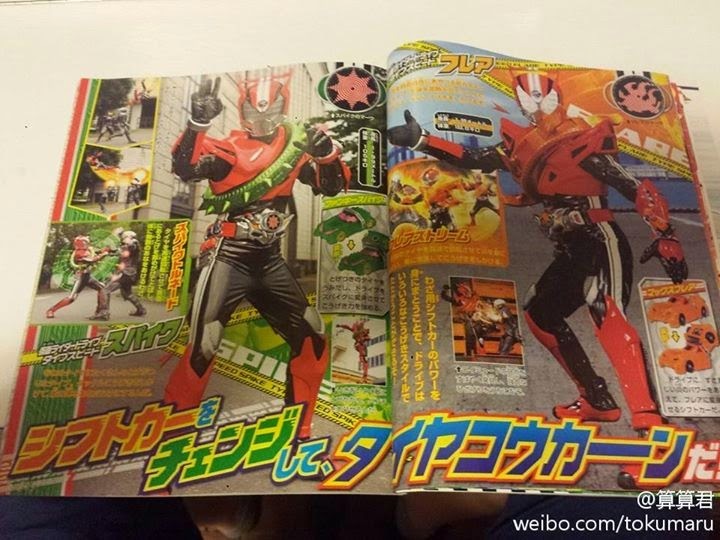 More details on The 16th Heisei Era Kamen Rider surfaced online ! 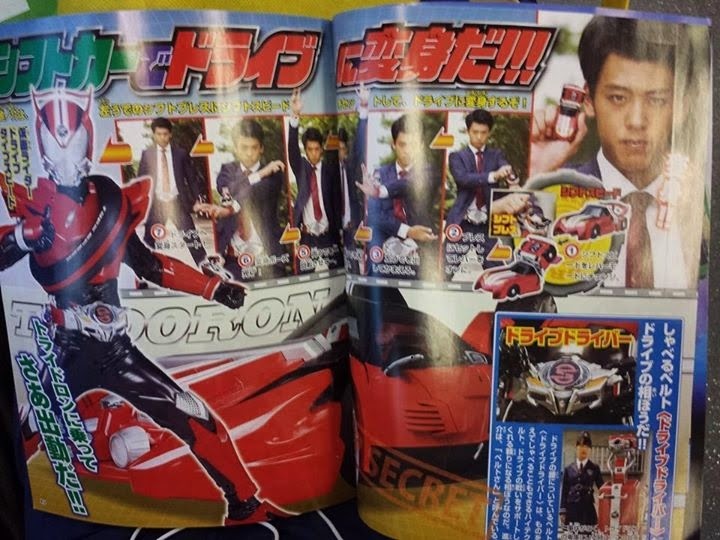 his alter ego will be known as Shinnosuke Tomari, portrayed by Ryoma Takeuchi,a police officer who's apart of a Special Unit and a car maniac! 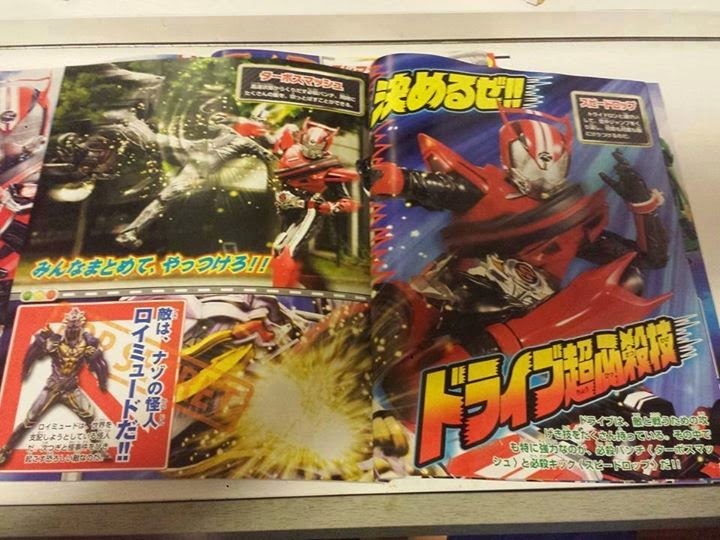 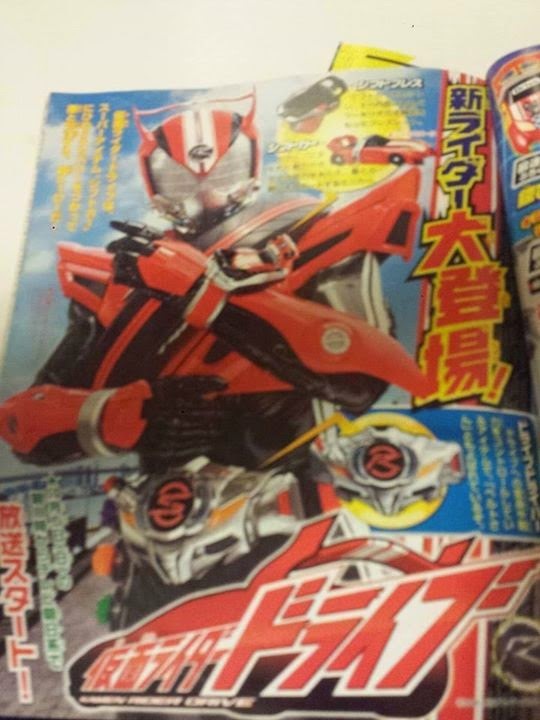 Kamen Rider Drive is also equipped with Shift Cars that will change the tire part and his attributes. 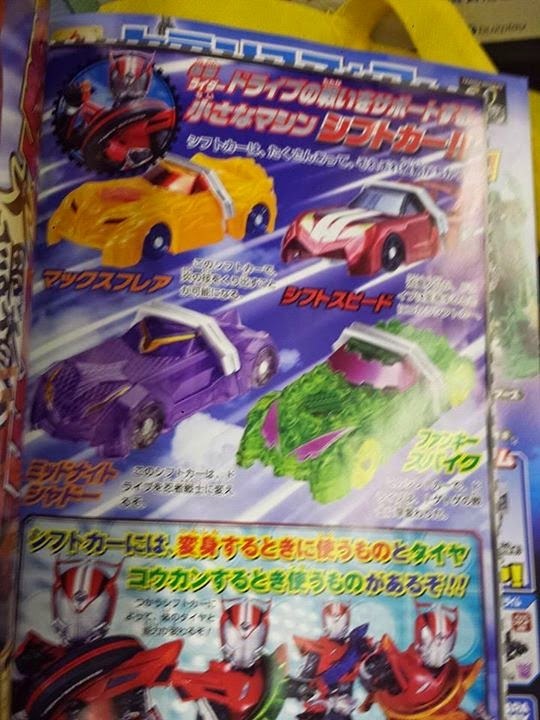 The three Shift Cars - Max Flare, Funky Spike, and Midnight Shadow - allow Drive to change the tire on his chest to gain different abilities. 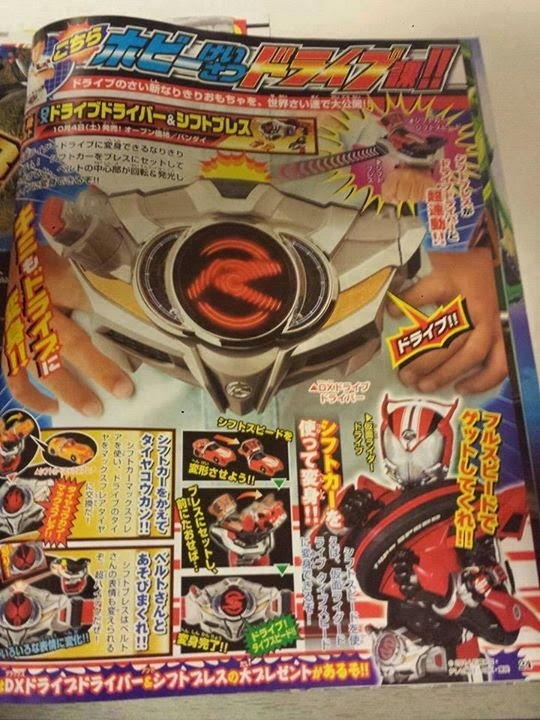 The Max Flare, transforming Drive into Type Speed Flare (orange). 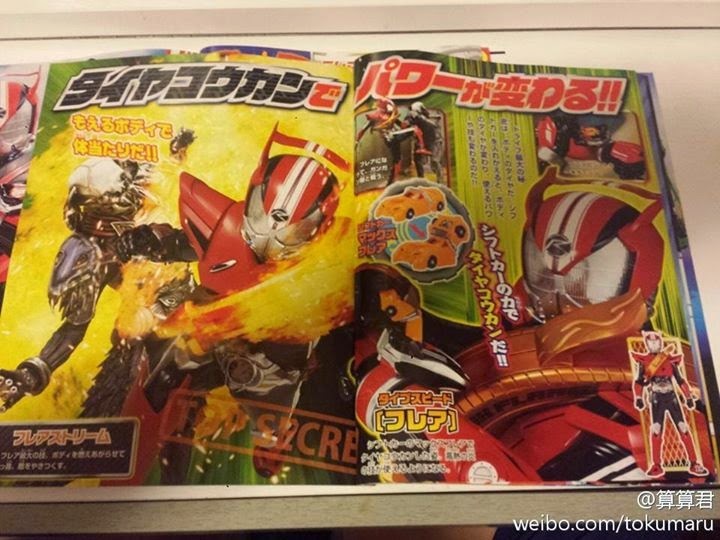 This item gives him protective flames called Flare Stream that can destroy his enemies. 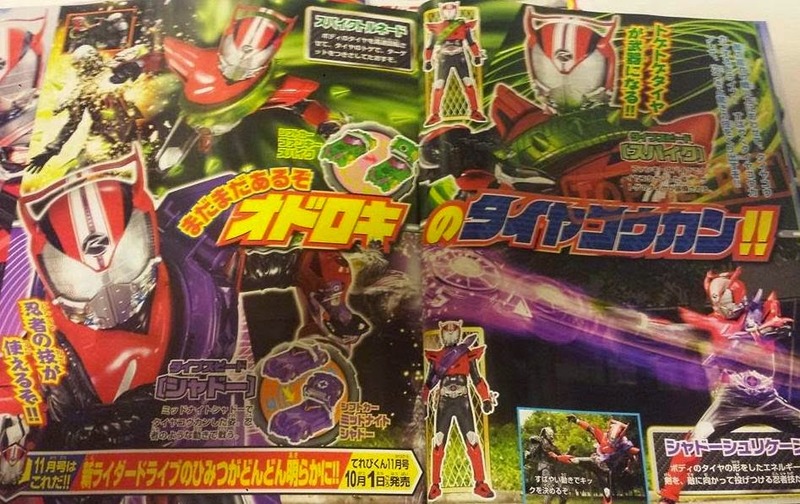 The Funky Spike, transforming Drive into Type Speed Spike (green). 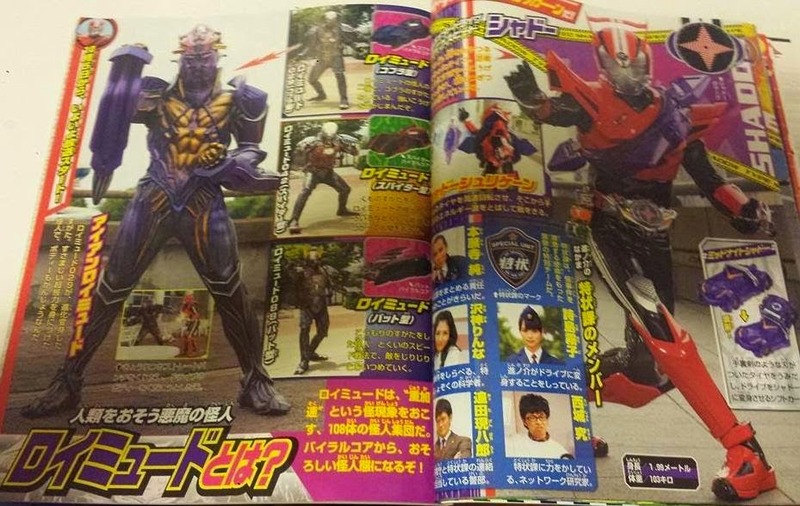 Enemies will be torn into pieces thanks to his Spike Tornado and the Midnight Shadow, transforming Drive into Type Speed Shadow (violet). 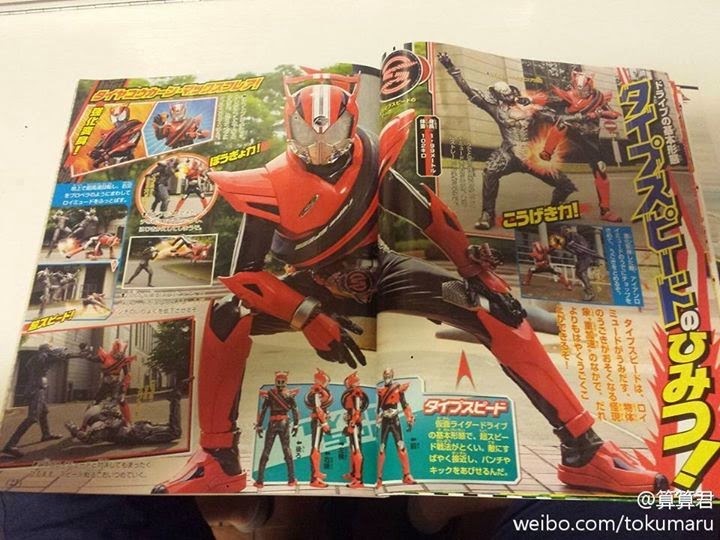 The item gives Drive the ability to throw Shadow Shurikens at his enemies. 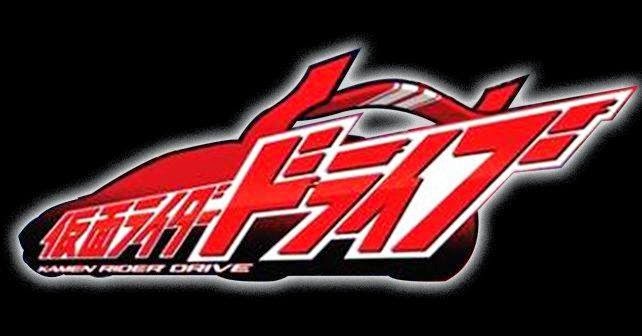 Kamen Rider Drive’s Rider Kick is known as the Speed Drop. 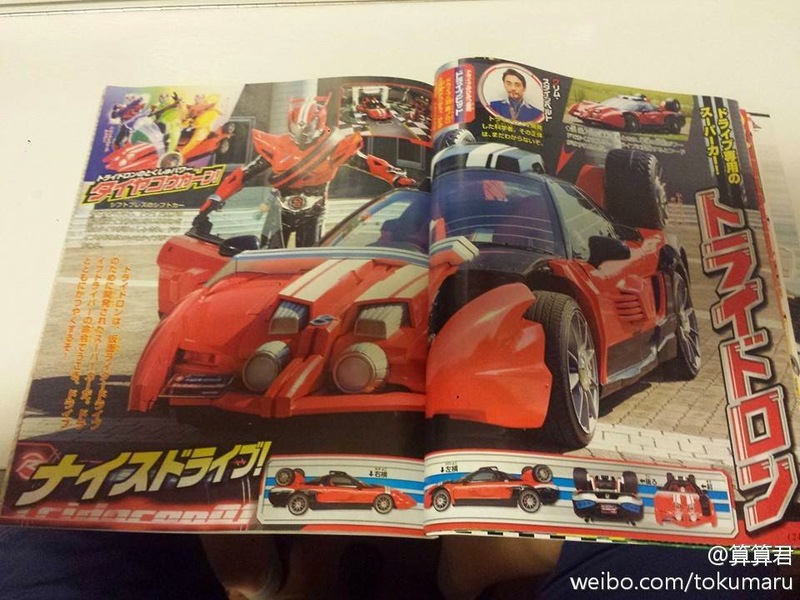 His vehicle’s full name is Special Roadster Tridoron. 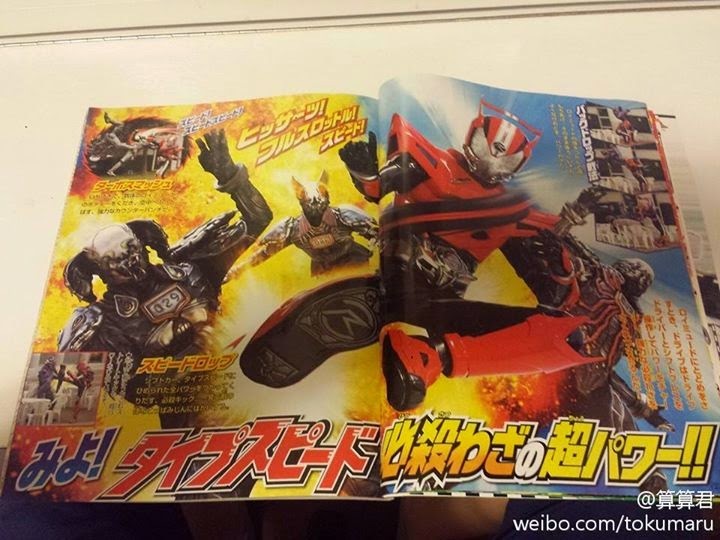 DRIVER Drive will be knwon as DRIVER DRIVE & a SHIFT BRACELET is worn on the left hand to activate the Shift Cars. 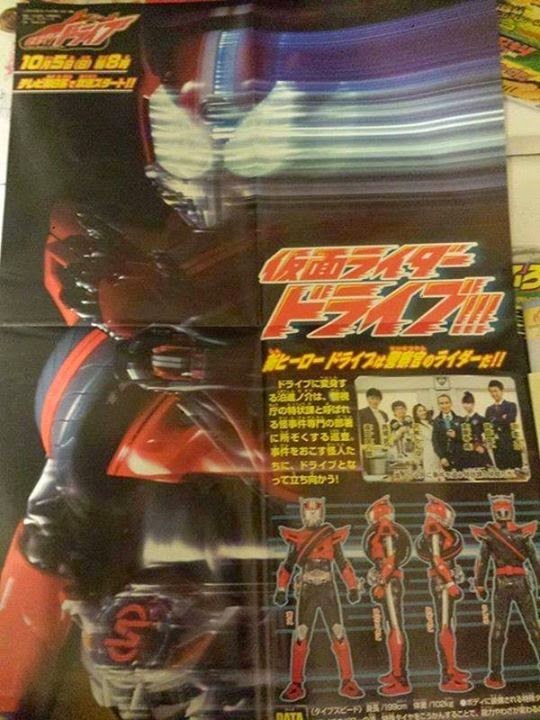 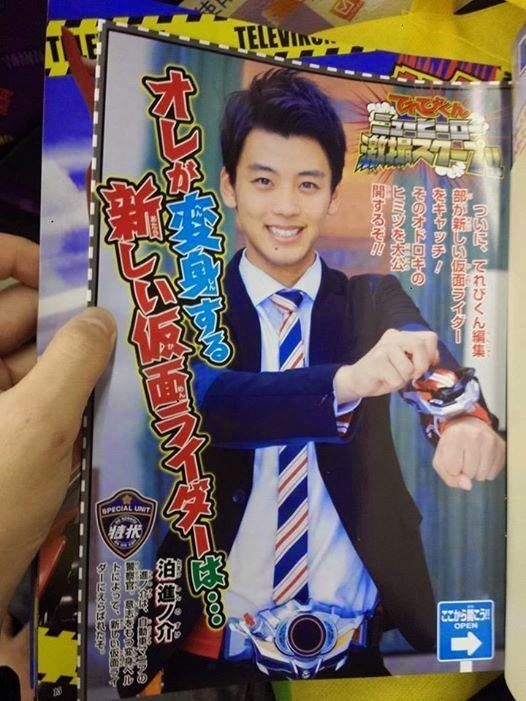 Kamen Rider Drive begins this October 5 and will replace Kamen Rider Gaim in TV-Asahi's Super Hero Time block. 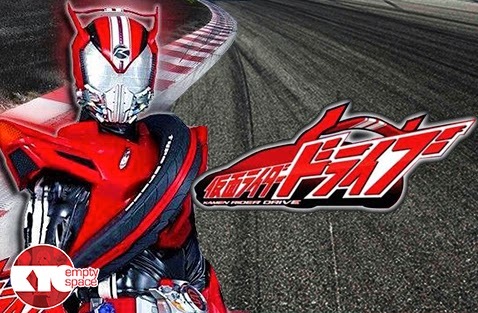 Power Rangers the first season : blessing or curse ?